On the first night after they move into their newly purchased farmhouse Sarah has a creeping sense that they are being watched. They soon realise the locals don't take kindly to strangers when a gang in pig masks break into their home, leading to a tense game of hide and seek as Sarah and Ed are hunted through the house and surrounding woods. What unfolds is a fairly typical home invasion thriller, the current in-vogue twist on the slasher film formula. However the violence doesn't have enough weight – extra crunch would have really hammered home the threat the couple face. After Exam, Offspring, Let Us Prey and her storming performance in The Woman, McIntosh has some serious genre credentials. She's not your typical scream queen, investing her performances with intelligence and showing proper acting chops; the believability she brings to her character is the highlight of White Settlers. What also sets Halligan's film apart is a vaguely political edge, amplified by the release date being so close to the Scottish referendum. However, screenwriter Ian Fenton doesn't explore these ideas in any depth. We only assume there's a xenophobic angle from the title ('white settlers' is a derogatory term used to denote English people living in Scotland) and a handful of insults, although admittedly the end is a cheeky punch-line that could only work within this context. 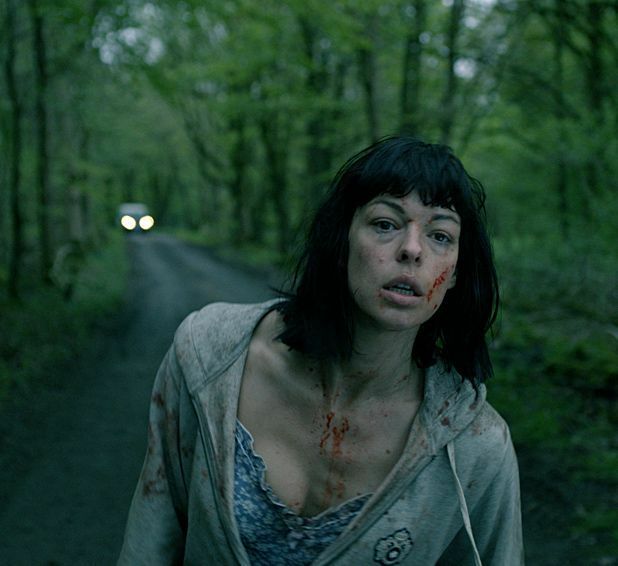 White Settlers is entertaining enough but with a tighter, smarter script it could have had even more impact. Screened as part of FrightFest 2014, selected release from Fri 5 Sep.
English couple Sarah (McIntosh) and Ed (Williams) buy a cheap house in Scotland, only to find that the locals don't like strangers. Fairly typical home invasion thriller, redeemed somewhat by McIntosh's intelligent performance, but the violence lacks weight and the script isn't quite tight or smart enough.